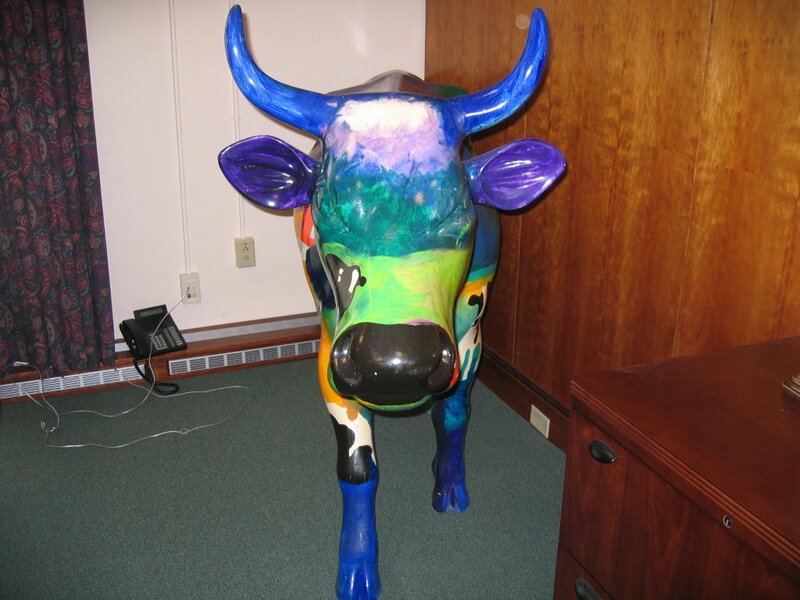 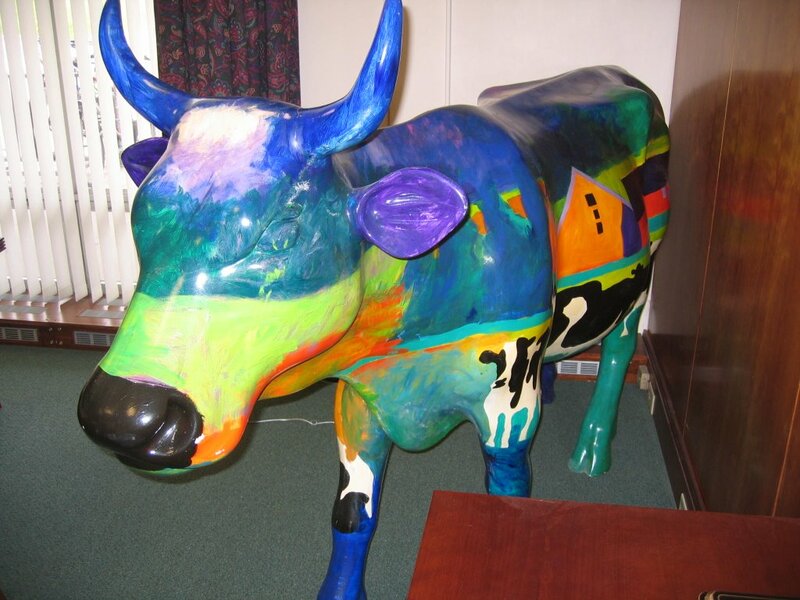 This cow was painted by the famous Vermont painter, Woody Jackson, depicting UVM. It has been in the office of the former Dean of the College of Medicine, John Evans. 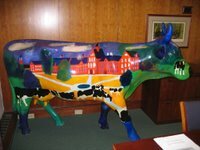 I was in his office just before he left (worked with a co-worker on his new Treo) and asked him if I could take some pictures of the cow. 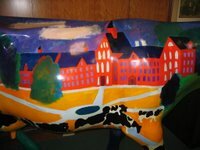 I believe the new Dean has inherited it for now.